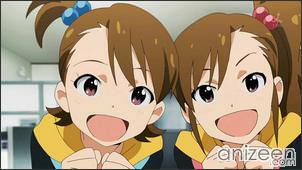 The competitive Japanese entertainment industry wants idols, those girls that seem to have it all. They can do everything to entertain people, they can sing, they look beautiful and have sweet personalities. Girls from all over Japan aspire to become an idol, but just a few are able to stand at the top of this fierce competition. 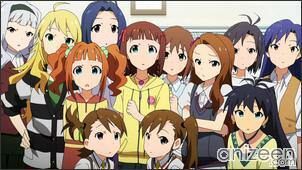 Here, we will follow a group of thirteen pop idols from 765 Production studios and their goal to become the most popular idols in Japan. 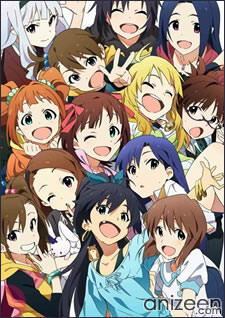 You’ll be introduced to the girls of 765 Production studios and their everyday activities as an idol. 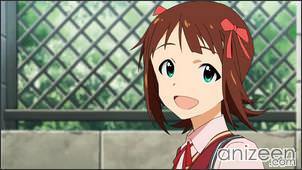 First, it is Haruka Amami, who travels a couple hours just to be part of this idol project. 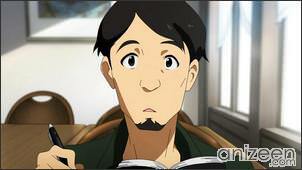 Also, you’ll meet Makoto Kikuchi, a girl that plays the ‘boy idol’ part. Secretly, she likes girls magazines, and wants to keep it as a secret for her girl fans. Ritsuko Akizuki will be ashamed to share that she was also one idol before, but still oves the work and is part of 765 Production. Along with interviews with the staff of 765 Production, the idols themselves are interviewed, you’ll find out why they became idols and which are their goals. President Junjirou Takagi of 765 Production will reveal to the girls that the cameraman that’s been filming them is in fact their new producer. Haruka Amami is the all-around good girl, she has enjoyed singing and making sweets since she was a child, despite the fact that she seems to be quite clumsy in general. 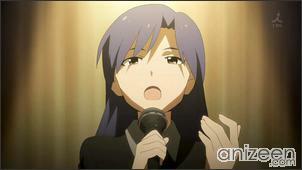 Chihaya Kisaragi is cool and serious, Chihaya has the greatest enthusiasm towards music, earnestly believing that if she were no longer able to sing, she would rather die. 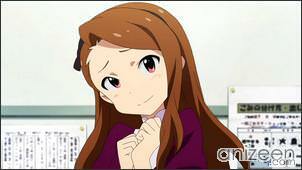 Yukiho Hagiwara is a crybaby, Yukiho aspires to become an idol in order to one day shed her cowardly disposition. She is afraid of dogs and also does not do well with boys. 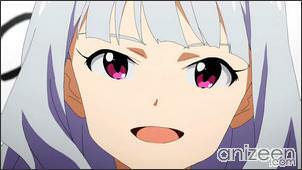 Yayoi Takatsuki is a bright and cheerful girl who cares for her family very much. Due to her father’s unstable occupational status, her family is actually quite poor. To earn extra money, Yayoi often does cleaning and other odd jobs. 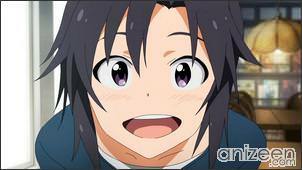 Ritsuko Akizuki is a smart-girl type, she believes in theory more than her own inner strength. Originally an intern working at 765 Production after graduating from high school, due to a lack of girls scouted by 765 Production Ritsuko became an idol herself. Azusa Miura is the oldest amongst all idols, her personality reflects that of a kind-hearted but ditsy “big sister” type. She has a very easy going and carefree personality, though also an incredibly terrible sense of direction. 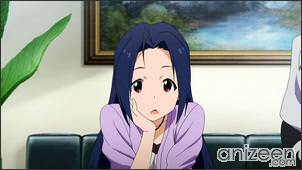 Iori Minase is the daughter of one of the associates of the 765 Production president, Iori is a spoiled rich girl who flaunts her family’s wealth. Although she is quite polite and refined on stage and in public. 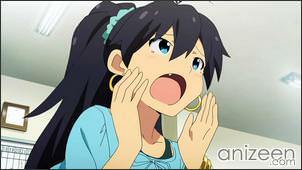 Makoto Kikuchi is popularized as the “pretty-boy idol” within 765 Production, and has accumulated more female than male fans because of this. She was already rather popular among her fellow students at the all-girls school she attends. The [email protected] (アイドルマスター) is an arcade and console raising simulation game released exclusively in Japan by Namco. 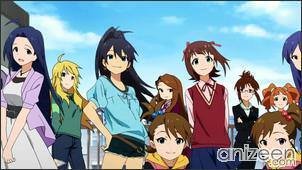 Before, an anime series set in an alternate universe called Idolmaster: Xenoglossia was made by Sunrise. 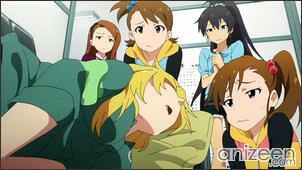 Also an OVA, The Idolmaster: Live For You!, was previously released. The new anime adaptation is faithfully based on the games including being voiced by the original voice cast from the games was produced by A-1 Pictures Inc. under the direction of Atsushi Nishigori and Touko Machida as script supervisor, it began airing on July 7, 2011.